AN AGEING population may not be a worry for Singapore as the future elderly will be well-educated, said Austrian demographer Wolfgang Lutz yesterday. 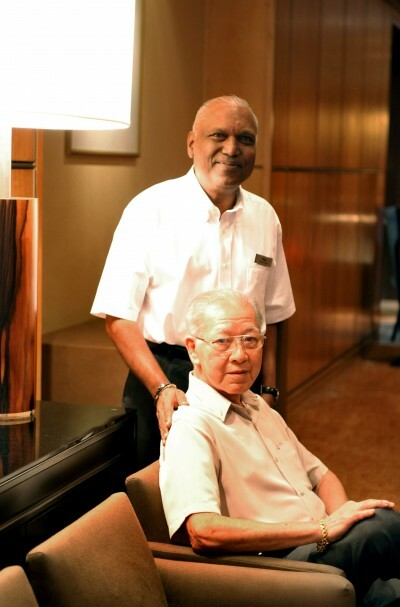 Noting the rising proportion of Singaporeans with tertiary education, he said: "These highly educated 70- to 75-year-olds can still be productive members of society." The reason: Better-educated elderly are more likely to be healthier and stay in the workforce, he said, citing studies from Austria that also show companies with "a good age mix" are the most productive. These phenomena "shed serious doubts" on the common expectation that ageing societies have economic problems, said Professor Lutz. Prof Lutz was giving a public lecture on demographic change and economic growth that was organised by the Institute of Policy Studies. Mr Yeoh Lam Keong, an adjunct senior research fellow at the institute, asked if this meant the difficulties posed by Singapore's ageing population may not be as severe as portrayed in the Government's White Paper on Population released last month. Prof Lutz agreed, adding that the image of the elderly has to change. "The image of today's elderly in Singapore is strongly formed by the fact that... (they) are largely uneducated." Prof Lutz, founding director of the Wittgenstein Centre for Demography and Global Human Capital in Vienna, is here for three weeks as a National University of Singapore Society distinguished professor, a position for eminent visiting academics. Last Wednesday, he suggested the optimal total fertility rate (TFR) for Singapore is 1.7 rather than the usual 2.1. TFR refers to the number of children a woman has in her lifetime. He also estimated that Singapore's true TFR may be 1.5 instead of the official 1.29, as current calculations do not account for how women are having children later. Yesterday, when asked about these rates, he said: "I don't think the fertility in Singapore at the moment is catastrophically low, but it's at the lower end of what is desirable." Efforts to help families raise children are still a good idea, he added.